Are you overwhelmed by the syllabus? When I was in college, I had a friend who had a habit of signing up for a class and then dropping it within the first week. 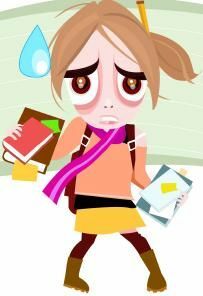 As soon as the syllabus was handed out, she would be overwhelmed by the amount of work required to complete the course, including reading assignments, papers, projects, etc., and opt out of the class. She didn’t realize that when you look at the requirements of an entire semester, encapsulated into a written list, it may seem a monumental task, but if you do one assignment at a time, day by day, eventually you will have compiled a whole syllabus of work. In other words, just do what you need to do today, and the rest will take care of itself. This same principle applies to the process of changing to a healthy eating lifestyle. Depending on where you are on the healthy eating continuum, you may have a lot of work to get from where you are now to where you want or need to be. If fact, many people give up on the whole concept, because they are overwhelmed by the amount of change that is required. In other words, like my friend, they read the syllabus, get overwhelmed, and opt out. 1. Eat a variety of fresh, whole foods, including selections from the five food groups—Vegetables, Fruits, Grains, Meat and Legumes and Milk. 2. Include at least 5 servings of fruits and vegetables each day, with an emphasis on vegetables. 3. Include a serving of low-fat versions of good quality protein with each meal and snack. 4. Eat good carbs such as whole grains most, if not all of the time. *Choose unsaturated fats such as olive oil, avocado, nuts and seeds. 5. Include fiber foods with each meal so that you get a total of 25-30 grams of fiber each day. 6. Eat a balanced diet with a ratio of 40-30-30 of good carbs, low-fat protein and good quality fats respectively. 7. Eat colorful foods for their phytonutrients. 8. Choose low-fat versions of dairy products and leaner meats. 9. Stay away from empty calories that provide calories but little nutrition. 10. Limit your intake of foods with added sugar and salt. 11. Limit pre-packaged foods and fast foods, which are generally over-processed, full of preservatives and high in sodium. 12. Drink 6-8 glasses of filtered water each day, while avoiding soft drinks and limiting fruit juice. Click here for a printable list of these healthy eating guidelines. Today is the first day of class, and you have the healthy eating syllabus in hand. When you have accomplished that one change, then choose another—maybe adding some colorful fruits and vegetables, or some healthy fats from Omega-3 foods like walnuts or flaxseed. 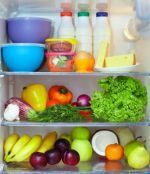 If you continue in this way—gradually limiting or eliminating the less healthy foods and adding the ones that help your body function well, before you know it, you will have achieved your goal. -Your love life will improve. -You will have more energy. -You will visit the doctor less. -You will be less likely to suffer from disease. One thing I need to mention here is that often the class with the most challenging syllabus, is also the most interesting and rewarding. The same is true with regard to the benefits of healthy eating. The more work you need to do, the more rewarding the result will be! Don’t be overwhelmed by the syllabus! Make one change at a time and before you know it, you will be enjoying all the priceless benefits of healthy eating! Click here to go from Benefits of Healthy Eating page to Nutrition Facts page.